Coconut Macaroons are one of my favorite springtime treats. Growing up, we always had them in our household at Easter/Passover, and now, at this time of the year, I make sure to make a few batches myself. Usually, I make a very traditional (and very delicious!) 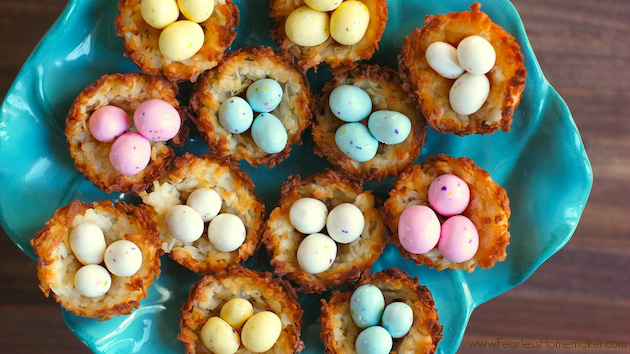 version, but this time, I decided to make something a little more festive – Coconut Macaroon “Nests” with Mini-Eggs inside! While it was admittedly the cuteness factor that drew me to these initially, the flavor is wonderful, too. The macaroons are sweet and perfectly-textured, and the mini-eggs add a lovely chocolately crunch to each bite. Plus, I love that they are bite-sized. After a big Easter meal, I’m often too full for a ton of dessert, so smaller, lighter sweets are always appreciated. 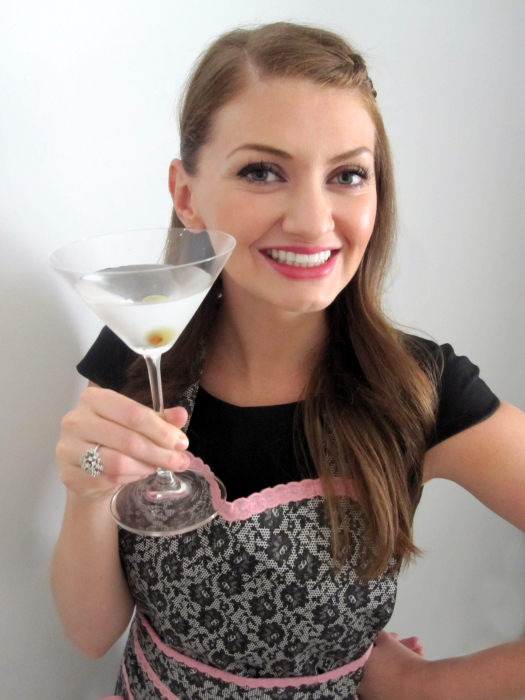 While I made these with Easter in mind, they would also particularly charming for a baby shower or Spring-themed party. And awesomely, they are super quick + simple to make, taking less than 30 minutes total to prep, bake, + decorate. I love a dessert that doesn’t take hours to make, especially on a busy holiday weekend! 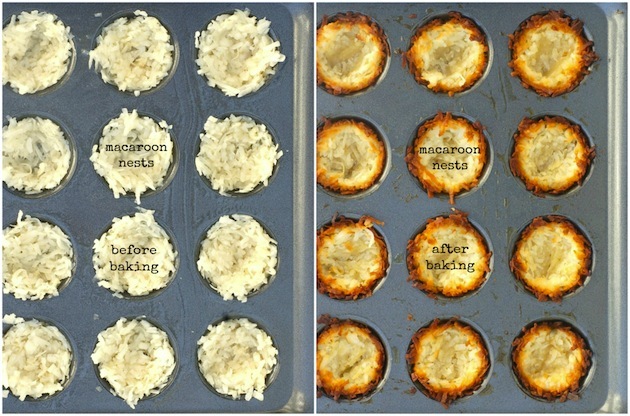 Preheat oven to 350 degrees F. Lightly grease or spray a mini-muffin pan. Set aside. In a bowl, combine egg white, honey, vanilla extract, and salt. Add in coconut until evenly moistened. Add about a tablespoon of the mixture into each of the tins. Press coconut mixture on the bottom and up against the sides of the mini muffin cup to create a nest, making sure the coconut reaches to the top. The middle should be hollow to create the nest shape. Bake for 13-15 minutes, until the macaroons are golden brown on the edges. Put 2-3 mini eggs in each nest. *I just placed my mini eggs in there as is (so they could be easily removed if our guests didn’t want to eat them), but you can certainly add a thin layer of melted chocolate or nutella if you want to “glue” them in. How easy is this? I would totally opt for some Nutella inside too. These are adorable! My mom makes something like this using corn flakes, but I think I like yours even better. So cute! I can definitely feel East in the air! These look absolutely delicious and adorable. I hope I can make them when I’m back home this Wednesday :). These are so cute! I love it!! Pinned! These are so adorable! 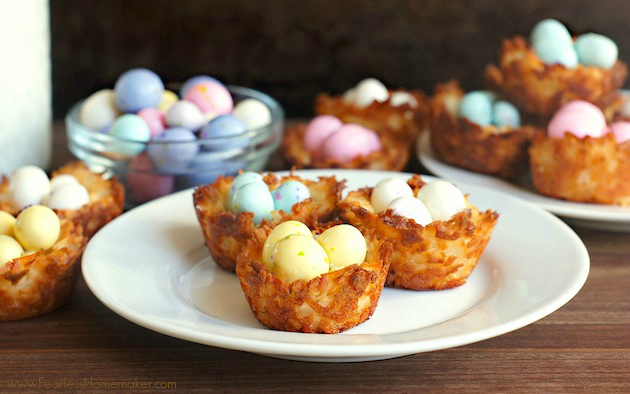 What a terrific idea for a fun (and tasty) spring treat! So adorable! And they really look like real nests!